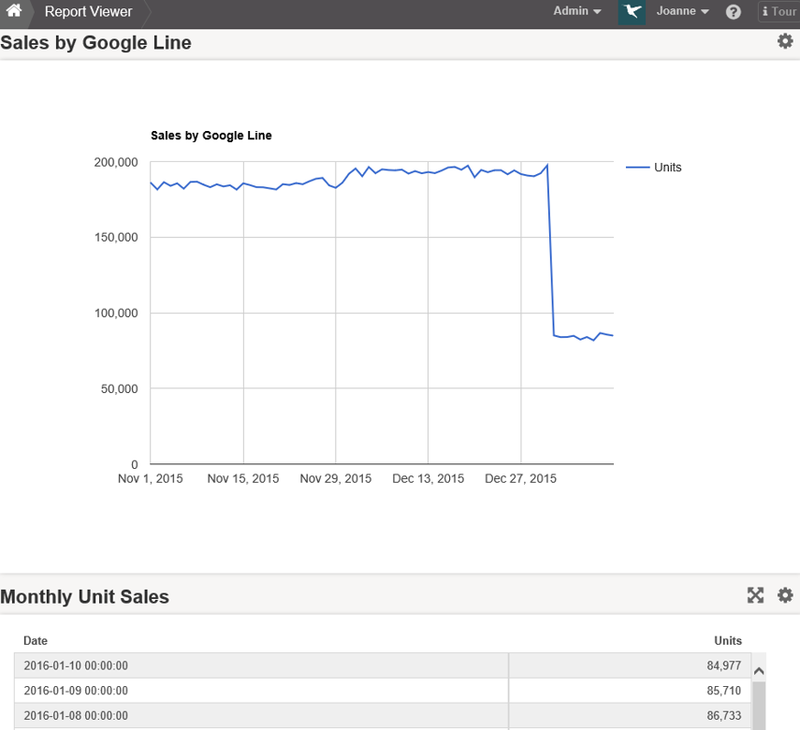 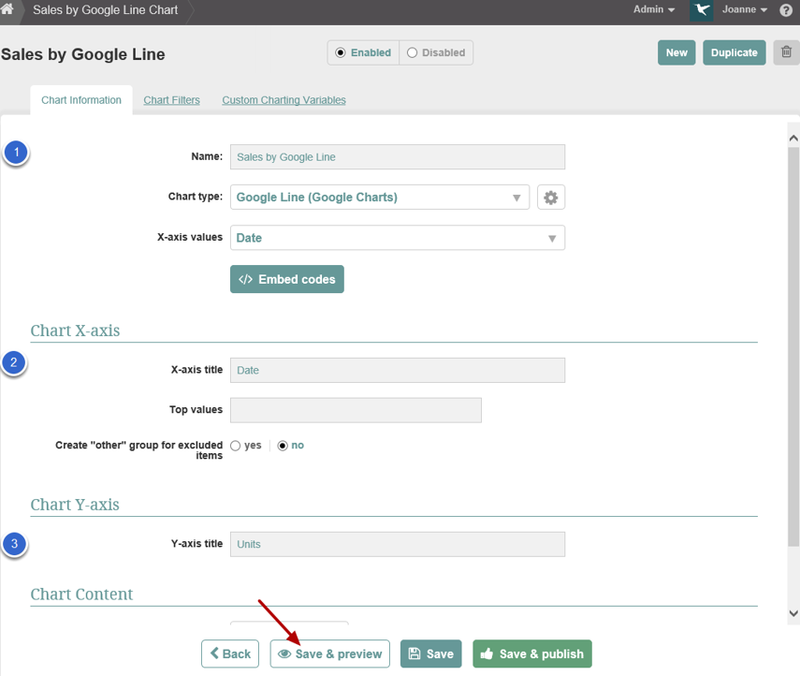 This article provides a step by step example of how to create a Google Line chart. 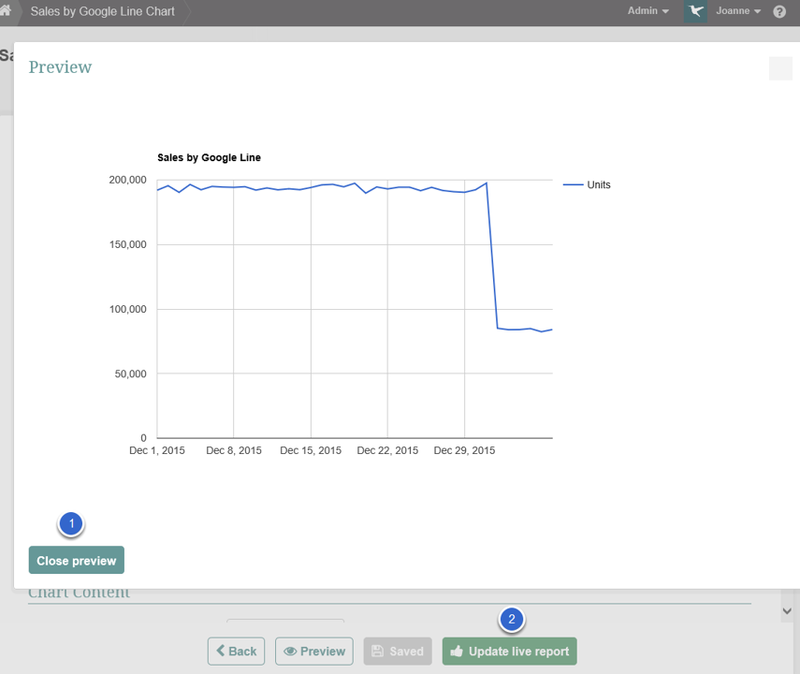 For this type of Chart, choose a report that contains a time series and limit the data collected to two columns. 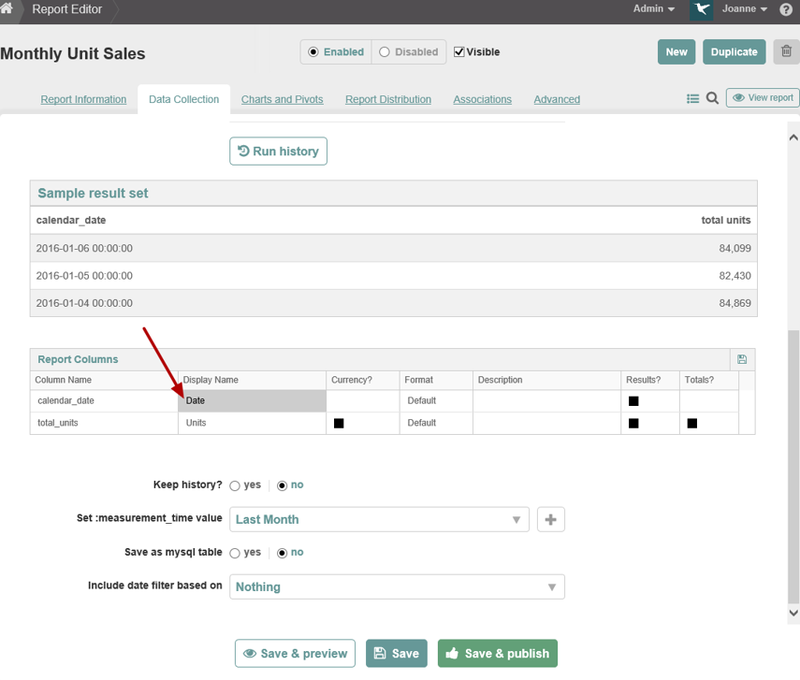 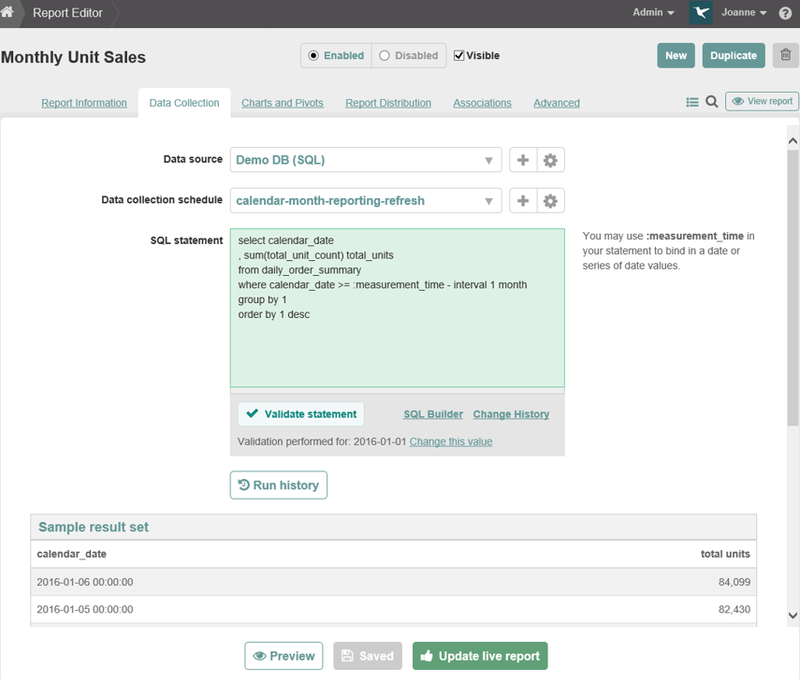 If your report contains more than two columns, you can add a pivot to limit the data to two columns.